Soini is also scheduled to meet with US Secretary of State Mike Pompeo and US National Security Adviser John Bolton. Foreign Minister Timo Soini is in Washington DC, where he is meeting with US Secretary of State Mike Pompeo and took part in the National Prayer Breakfast, which President Donald Trump addressed on Thursday. Soini, who describes himself as a devout Catholic, has attended the predominantly conservative Christian event several times before. Last autumn, the founder and former chair of the nationalist Finns Party survived a confidence vote in Parliament over his repeated interventions on the topic of abortion rights while on working trips, in contradiction of Finland's official stance. 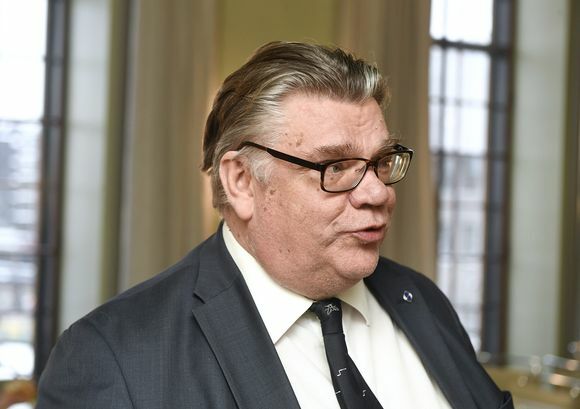 On Wednesday, Soini addressed a foreign ministers' meeting on ISIS, chaired by Pompeo. On Friday Soini will meet with US National Security Adviser John Bolton. The agenda includes European security and Afghanistan. Soini is headed to Moscow next Tuesday for talks with his Russian counterpart Sergey Lavrov. According to a Finnish Foreign Ministry handout, the two will discuss topics including regional security in Northern Europe, the situation in Ukraine, weapons control issues and the Council of Europe, whose ministerial committee Finland now chairs. The Council of Europe, which is not affiliated with the EU, is a 47-nation group intended to boost human rights, democracy and the rule of law. Finland joined in 1989 and Russia in 1996. Soini and Lavrov will also discuss bilateral issues and regional cooperation, including via the Arctic Council, which Finland also now chairs. The Finnish foreign minister also plans to meet with representatives of Russian NGOs in the Russian capital.